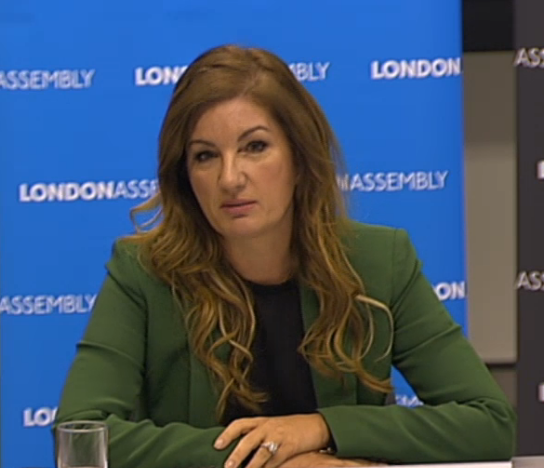 Karren Brady will never be everybody’s cup of tea and there have been many problems between her and the fans over the London Stadium. We would not argue the fans have been unfair in their judgements of some of her words and actions which have often been abrasive. However, she yesterday appeared before a London Assembly committee after major concessions have been received by the club from the stadium operators. Here’s how the fans on the ClaretandHugh website responded to her performance. O Every fan should watch this, not only to get the facts but to see what a major asset we have in Karen Brady. By heck she was impressive! If someone doesn’t have the time to watch it all I would recommend the section from 1:15:40 where she lists West Ham’s contribution to the area – makes you proud. I hope when her image appears on the screens in future there’s a big cheer instead of the boos I heard last time I was there. O Most impressive. Obviously the Mayor took the chance , after the Burnley game, to grandstand and stick himself up front. Once everything died down and no further press opportunities were on offer, he lost all interest. O Watched this throughout and have to say Karen Brady was really impressive and convincing. Hopefully the campaign of misinformation by the Mayor and the others will stop and some commonsense applied. Sadly I can’t see that happening as it is much easier to blame West Ham for everything! Whatever happens in the press, it is to be hoped that the people responsible for the sheer waste of public money will be held to account, but again I’m not holding my breath on that either! O Got to say after watching Baroness Brady this afternoon she has my 100% support after the way she fought the corner, considering the abuse she has taken on social media in this past couple of months. She called West Ham as a family, families stand together let’s hope we can all stand together owners and supporters alike. We are bigger and better than the stadium operators. ← Poll: Who should be honoured by a West Ham statue? No doubting Brady as a businesswomen, just like gold and Sullivan. They are very successful and well done to them. That said the move and subsequent goings on there, have taken a hugh amount of the feeling for West Ham away sadly. So from my perspectative she isn’t my cup of tea..I wish I could love the Olympic stadium and new badge branding but I just don’t. That hasn’t stopped me going but difintely not with the same passion and feeling as I used to..
From watching Brady at the London Assembly it would seem the E20 and LDDC have gone out the way to balls the whole thing up. I suspect at some point West Ham will have a much bigger say or perhaps even get an option to buy the stadium which will of course will much improve the look and feel and the match day experience.